There’s no denying that the subscription box trend is booming. Since we wrote our article on how stationers can capitalise on the trend back in 2018, the rise of the subscription box has been insurmountable. From a monthly delivery of freshly ground coffee to cheese toasties, trainers and even a monthly delivery of mind-bending puzzles, you really can get everything you could ever need delivered through your letterbox in perfectly curated monthly parcels. According to a report from Royal Mail the value of the subscription box market is forecast to grow 72%, from £583 million in 2017 to £1 billion by 2022. Royal Mail says 27% of UK customers have already signed up to a subscription box service, with boxes being most popular with under 35s, while more than half of 25-35 year olds are signed up to at least one service. Meanwhile 40% of consumers said they will join more schemes in the future. Over a quarter (27.4 per cent) of UK consumers are currently signed up to a subscription box service, either for themselves or on behalf of somebody else. Over half of 25-34 year olds (52.1 per cent) are signed up to at least one, compared to 11.7 per cent of 55-64 year olds and 7.6 per cent of over 65 year olds. One artist who is making the most of the trend is Laxmi Hussein. We recently chatted to her as part of our #InspirationPrinted series, and she was kind enough to send us one of her L’s Art Club Subscription Boxes. What is L’s ART Club? An at-home, at-your-leisure drawing club, with guidance, notes, hints and tips to enable you to explore drawing as a pastime. Every other month you will receive a hand-picked pack of art materials, reference objects or imagery and a guide to using the materials and techniques to explore. You can sign up for as long as you like, or for just one pack. In this pack (pictured) Printed.com supplied the gorgeously designed Gold Foil Greeting Card as part of our ongoing #InspirationPrinted campaign. a pencil, presentation folder, reference material and a guide created by Laxmi with techniques and sample drawings. 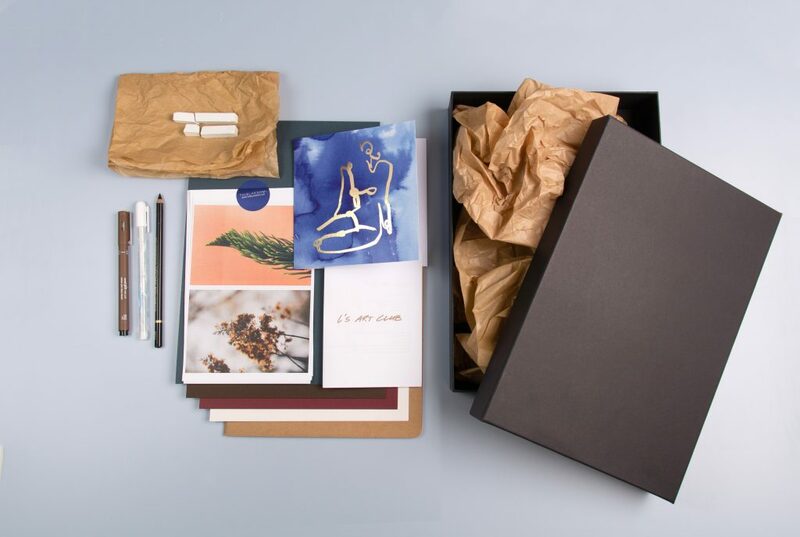 What makes L’s Art Club box different? For just £39 you can get a stunning box, just like one above, delivered to your door, every two months. With six in ten (58.6 per cent) businesses intending to invest in new or existing subscription services in the next year, the opportunity for creative businesses to capitalise is huge. Almost three quarters (72.4 per cent) intend to add new products to their service in the next twelve months. In terms of the likely longevity of this type of business model, over half (51.7 per cent) of the businesses we surveyed agree that subscriptions are set to be a major focus for their company in the future. Just like Laxmi has proven, a subscription box service can work for all kinds of businesses – so what’s stopping you? 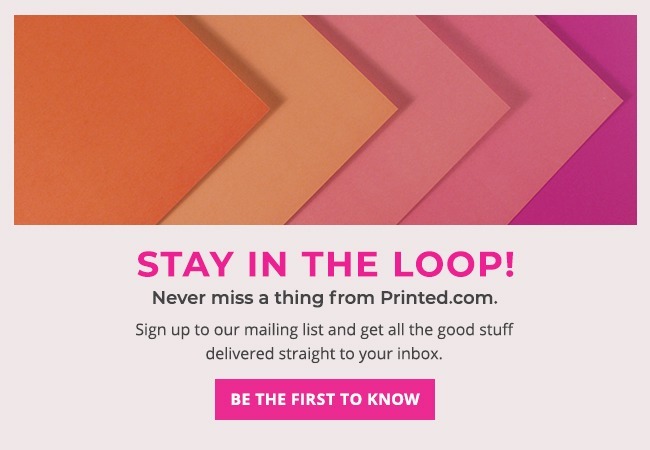 If you’re thinking about getting started, discover affordable print products to help you along the way at Printed.com.